A one-time shopping fixture in Mason City, Iowa, the Kmart on Fourth Street Southwest announced in January 2014, that its liquidation sale would be a couple of weeks later, with the doors closing by spring. The news set off the usual unpleasantries that accompany a major store’s demise, with local officials bemoaning the loss of a large commercial taxpayer. 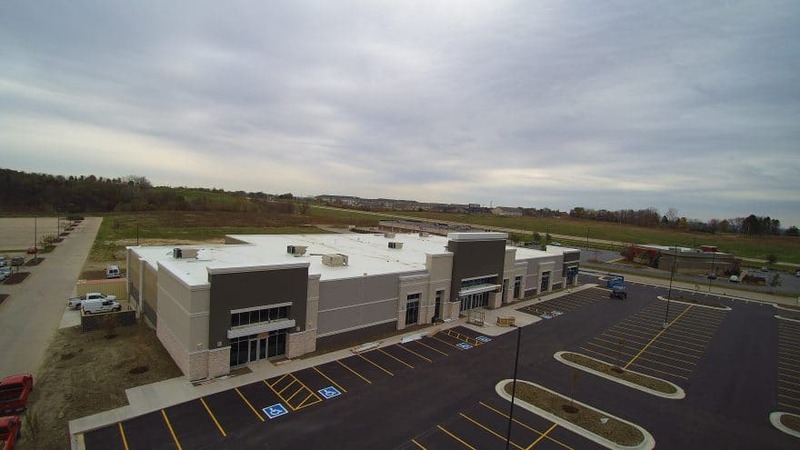 Four years later, however, that site has been revitalized with one of the upper Midwest’s top retailers of its kind, Furniture Mart USA, having bought and rehabbed the vacant building for a grand reopening this past fall. Given the defunct Kmart’s immense size—137,000 square feet—other companies might have been dissuaded from undertaking such a seemingly risky endeavor. But Furniture Mart, well-versed in such creative reuses, placed one of its three divisions, Ashley HomeStore, in the big box and enlisted a few other tenants, most prominently Harbor Freight Tools, for the surplus space. As 2017 neared a close, the two major retailers could toast each other’s success with Mason City itself among the beneficiaries. “It’s what we like to do; find opportunities where we can go into a community where we’re good for them and they’re good for us,” explains Justin Hinks, a 30-year-old former educator who holds the somewhat esoteric title of associate manager of facilities and capital of the company founded by his uncle, William Hinks. And in other places, as well. The last few months of 2017 were eventful ones for Furniture Mart, which, in addition to the Mason City project, opened two additional locations in Iowa—Burlington and Cedar Falls—as well as another store in Huron, South Dakota. “In just 90 days, we expanded our footprint by 10 percent,” Hinks says of the company that’s become the nation’s 40th largest furniture retailer, with 50 stores under three brands in North Dakota, South Dakota, Minnesota, Iowa, Wisconsin and Illinois. There’s the flagship Furniture Mart, which sells the higher-end furnishings for residential and commercial uses. 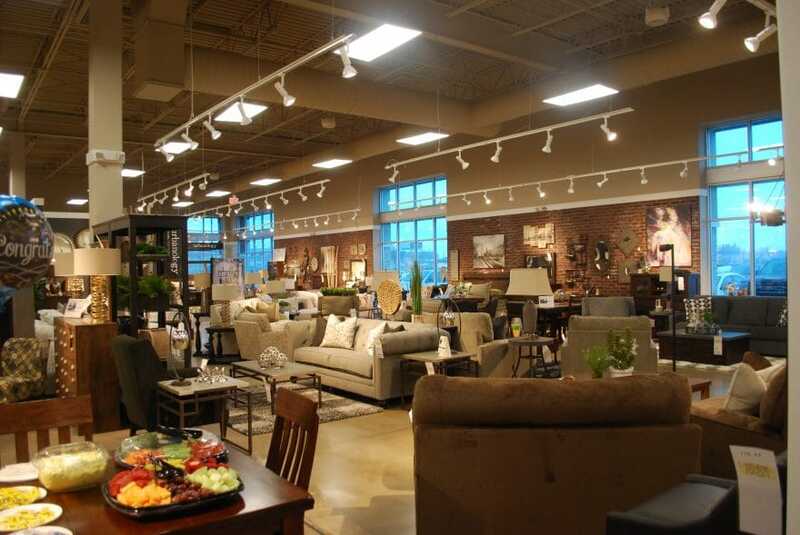 Then there are the 20 stores it operates under Ashley, the world’s largest furniture retailer. Ever true to its roots, Furniture Mart’s third wing is Unclaimed Freight, its name alluding to how William Hinks began the business in 1976, with the University Homes trailer park in Sioux Falls, South Dakota. Those mobile homes came already furnished, but not always to the taste of the new dwellers, many of whom would give the furniture back to Hinks, who was able to pocket a modest sum through twice-a-year sales. Eventually he got out of the mobile home business to concentrate on furniture. Now a spry 79, he remains involved as chief executive officer and chairman, and is proud to have his nephew in the ranks. “I grew up with this company, it’s where I started working when I was 15 and doing little things under the coaching of the senior staff,” says the younger Hinks, who’s enhancing his master’s degree in educational administration, with MBA courses. 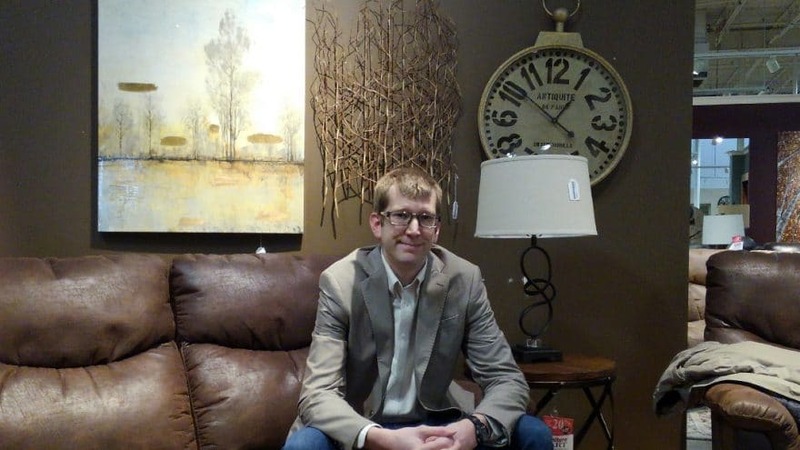 His academic background, which includes teaching social studies, as well as a brief stint as principal of RTR Public Schools in Tyler, Minnesota, can be a good fit for his many roles at Furniture Mart. Principals, he reminds, have got to be detail-oriented, especially when minding costs. The same holds true at Furniture Mart, where he monitors any capital asset over $1,000. Other skills that he honed, not just as a principal but as a special-education teacher in two other school districts, have also come in handy. Much of being a school administrator, he explains, is just knowing how to converse with diverse constituencies and getting to the root of an issue. Including, of course, the customers. The new year is almost certain to bring more store openings as well as the full integration of the 2017 expansion. At times, the business may seem to do things the hard way, given that the logistics of renovating a large building may be many times more difficult than construction from scratch. OSHA keeps a fine eye on such projects, and the hands-on Hinks has dealt with every issue that can complicate a renovation. Wiring up to code? Asbestos under the ceiling or in the walls? Mold under the floor? Vermin making themselves at home? Lead in the old paint? That said, he finds few things more satisfying than bringing a building back to life and seeing the benefits spread into the neighborhood. Personally, and professionally, he’s in a position to do just that.